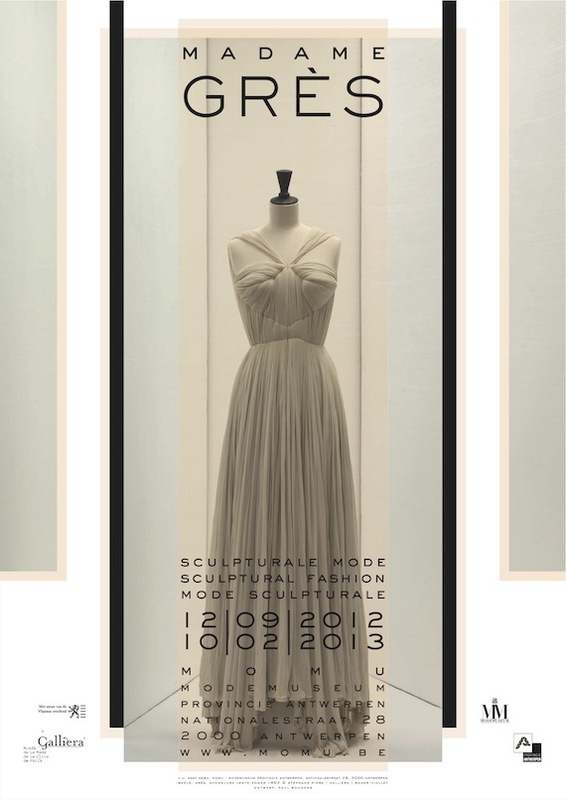 This fall, MoMu in Antwerp presents Madame Grès: Sculptural Fashion, a retrospective of the work of the Parisian couturier, Madame Grès (1903– 1993). Madame Grès felt herself as much a sculptor as a fashion designer: ‘I wanted to become a sculptor. For me, working with stone or fabrics is the same thing.’ She draped or pleated the fabric directly onto the model, without artificial devices and mostly without using scissors and needles, so that she also came to be known as the pioneer of seamless garments. 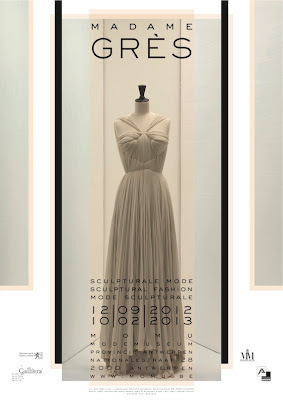 In the fifty years of her career, her work went through a range of stylistic periods, from Hellenistic, draped evening dresses to modern, minimalist daytime garments and stylish beachwear, always in her own specific style: sober, timeless, sculptural and utterly feminine. The exhibition will start on September 12th and runs until February 10th, 2013.